Apart from automating the provisioning of Exchange mailboxes, Adaxes also enables you to automatically configure mailbox parameters, such as mailbox features and policies, email addresses, mailbox rights, mailflow settings, mailbox limits and quotas. With Adaxes, you can manage mailboxes in your on-premises Exchange and in Office 365. 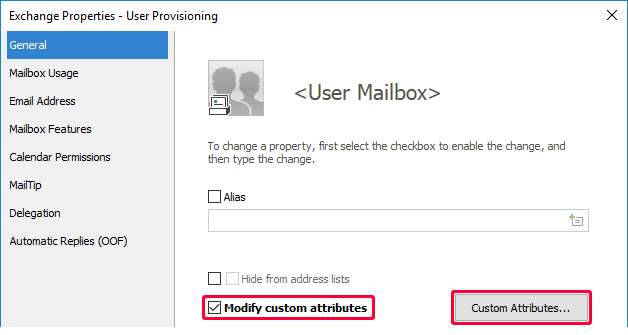 You can configure Adaxes to automatically modify mailbox parameters right after a new mailbox is created or an Exchange license is assigned in Office 365, after a user account is updated, added to a group, etc. With the help of Custom Commands, users can change multiple mailbox parameters or move mailboxes between databases at a single mouse click. Using Scheduled Tasks, you can configure Adaxes to update mailbox parameters on a regular basis, based on various conditions. For more details, see Exchange Management and Automation. In this tutorial, you will learn how to configure Adaxes to modify parameters of newly created mailboxes. To automatically perform actions when a certain event takes place, you need to use Business Rules. 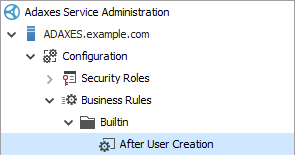 Adaxes provides built-in Business Rule After User Creation that is triggered after a new user account is created in Active Directory. 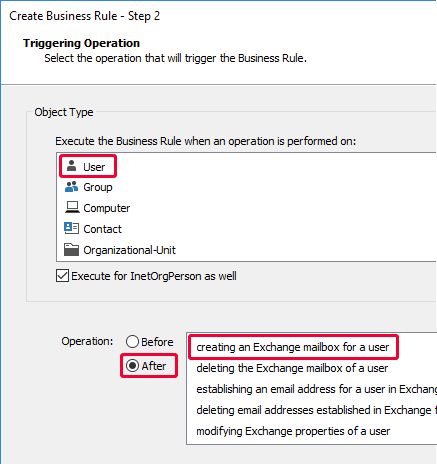 You can use the Business Rule to configure Exchange mailboxes. If you use another Business Rule for mailbox creation or assigning Office 365 licenses, select the Business Rule. Alternatively, you can create a separate Business Rule for mailbox configuration that will be triggered after a new mailbox is created. This approach is recommended if user provisioning involves manual creation of mailboxes, or if you have multiple Business Rules that create mailboxes, but want to configure them in one place. Right-click your Adaxes service, point to New and click Business Rule. 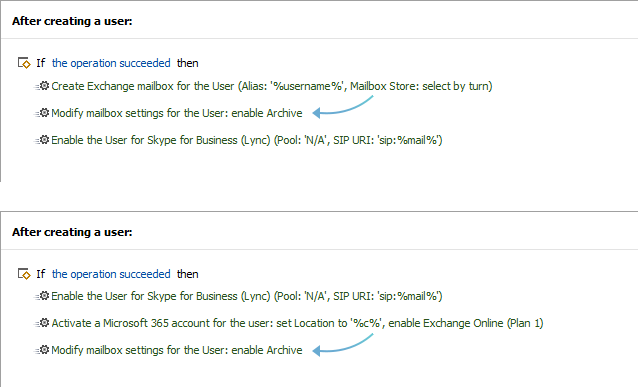 Select After and then select Creating an Exchange Mailbox for the User. 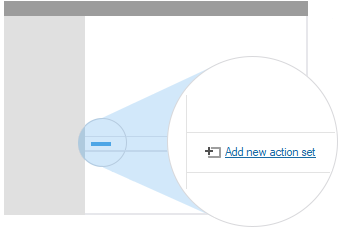 To modify mailbox parameters, you need to add the Modify Exchange properties action to your Business Rule. 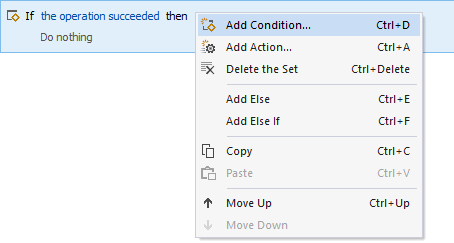 To do it, right-click a set of actions and conditions, and select Add Action in the context menu. Select the Modify Exchange properties action and click the Edit button. In the Exchange Properties dialog, specify the modifications required. Select the checkbox located to the left of the Hide from address lists checkbox. Use the Hide from address lists checkbox to indicate whether you want to hide or unhide mailboxes from Exchange address lists. Select the Modify custom attributes checkbox. Click the Custom Attributes button. Check the attribute you want to modify, and specify a value for the attribute in the edit box. You can use value references (e.g. %username%, %department%) in the attribute values. When the Business Rule is executed, the value references will be replaced with corresponding property values of the user account. For example, if you enter the template %fullname%-%department%, the value references contained in the template will be replaced with the values of the Full Name and Department properties of the user. Activate the Mailbox Usage tab. 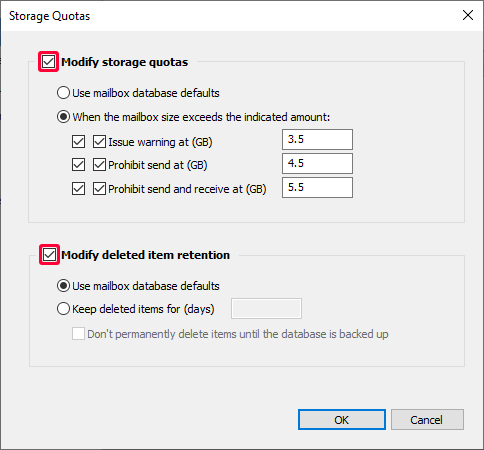 Select the Storage Quotas checkbox. Click the Storage Quotas button. Activate the E-Mail Address tab. Select the E-mail Addresses checkbox. 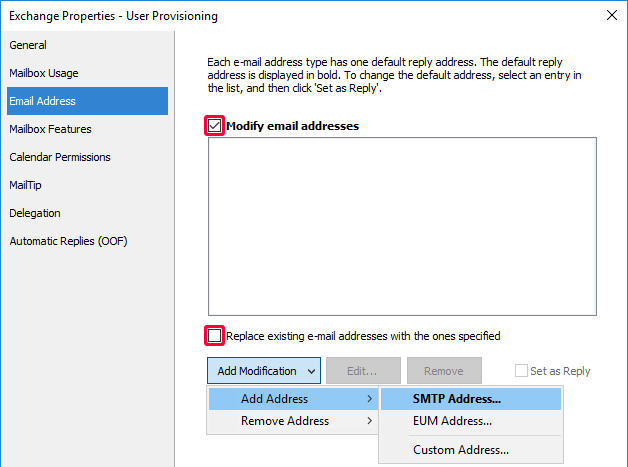 Uncheck the Replace existing e-mail addresses with the ones specified checkbox. Click Add Modification, point to Add Address and then click SMTP Address. Specify a template for the new e-mail address in the E-mail address field. To create a unique e-mail address for each user, you need to use value references (e.g. %username% or %employeeID%). The value references will be replaced with corresponding property values of the user account. For example, if you specify %employeeID%@example.com, the %employeeID% value reference will be replaced with the value of the Employee ID property of the user account, and the email address will be something like 332211@example.com. Activate the Mailbox Features tab. Select the Modify Retention policy checkbox. If you don't want any policy to be assigned, leave the [No Policy] checkbox unchecked. To assign a policy, select the checkbox, and then select the policy you need. Select the checkbox located to the left of the Archiving checkbox. 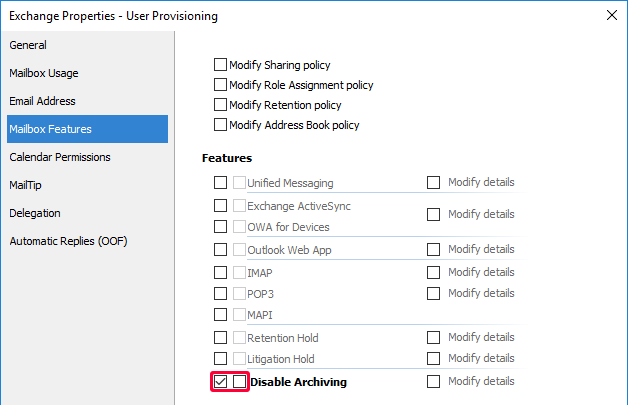 Click the Disable Archiving checkbox. Check the Modify details checkbox located next to the Unified Messaging checkbox. Select the Reset PIN checkbox and click OK. Select the Modify Delivery Options checkbox. Select the Forwarding Address checkbox. Select the Forward to checkbox and click Browse. Enter %manager% in the Template edit box. Value reference %manager% will be replaced with the distinguished name (DN) of the manager of the user. 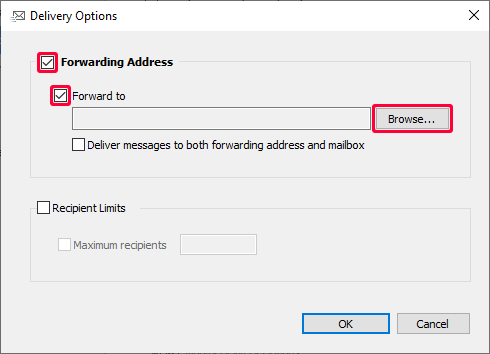 If necessary, select the Deliver message to both forwarding address and mailbox checkbox. Select the Modify MailTip checkbox and type MailTip text in the edit box. You can use value references (e.g. %fullname%, %adm-ManagerEmail%) in the MailTip text. The value references will be replaced with corresponding property values of the user account. 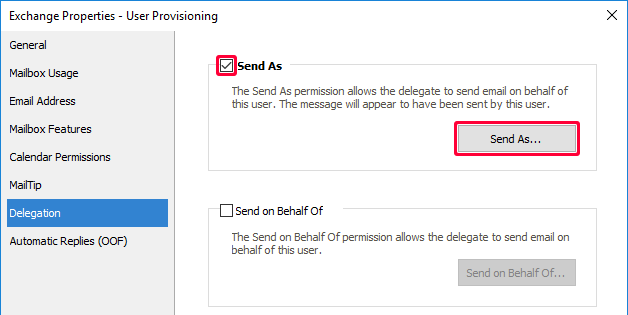 Select the Send As checkbox and click Send As. 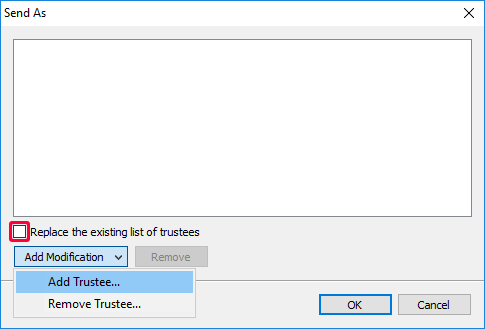 Uncheck the Replace the existing list of trustees checkbox. Click Add Modification, and click Add Trustee in the drop-down menu. Type %manager% in the Template edit box. Value reference %manager% will be replaced with the distinguished name (DN) of the user's manager. Activate the Automatic Replies (OOF) tab. Select the checkbox located to the left of the Send automatic replies (Out of Office) checkbox. 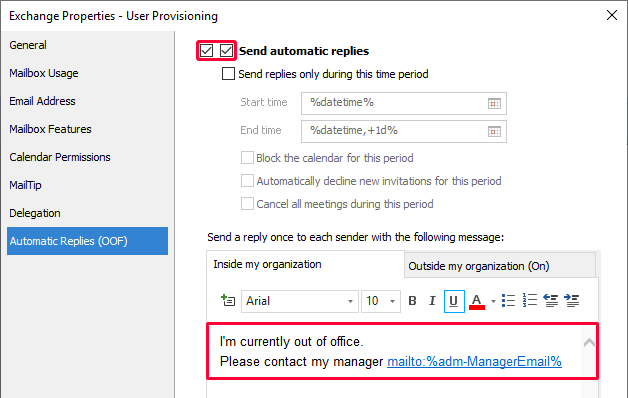 Select the Send automatic replies (Out of Office) checkbox. Specify a template for the auto-reply message. You can use value references (e.g. %fullname%, %adm-ManagerEmail%) in the message text. The value references will be replaced with corresponding property values of the user account. When finished, click OK two times. 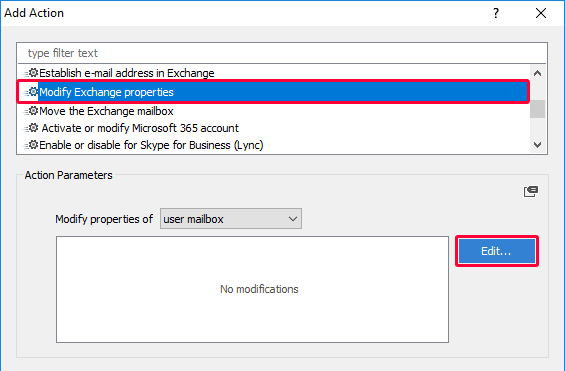 Make sure the Modify mailbox settings action is executed after the Create Exchange mailbox or Activate Office 365 account action. To move an action up and down, select it, and use the buttons. 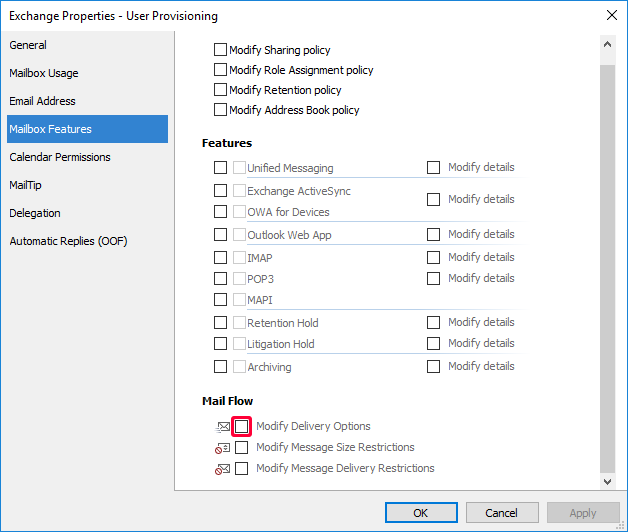 To modify specific mailbox settings only if certain conditions are met, you need to add a Modify Exchange properties action to a separate set and assign the necessary conditions to it. 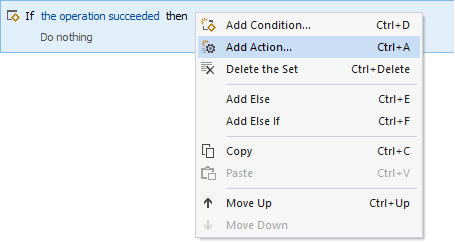 To add an action, right-click the set, and select Add Action in the context menu. In the following example, the Send As permission is granted to the manager on the condition that the Manager property of the user account is not empty.